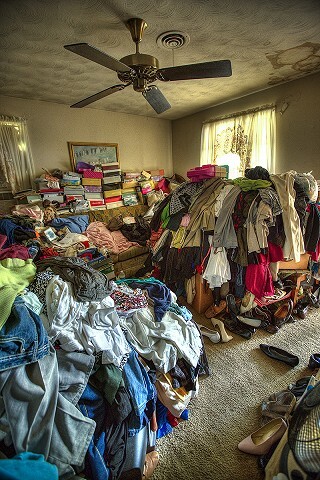 Compulsive hoarding is a complex anxiety disorder that makes it difficult for a person to discard or part with possessions, regardless of their actual value. Hoarders may feel items will be useful one day or that they have sentimental value. Many have dealt with this problem their entire lives, and often only after other family members become involved is the issue addressed. In addition to excessive clutter, other serious consequences of compulsive hoarding can include fire or health hazards and infestations. In many cases, due to the level of contamination in a hoarder environment, our highly trained technicians must utilize protective gear to avoid infection. Our service includes debris removal, biohazard disposal, content cleaning for salvageable items and general cleaning, sanitizing and deodorizing services. At ServiceMaster Restore of Central and North Okanagan, we know that successfully handling a hoarding situation calls for an honest, realistic approach and professional skills that can only come from specialized training. Our company has 65 years of experience and expertise in the professional cleaning and restoration industry, so we are able handle all situations. Working together with Matt Paxton, founder of Clutter Cleaner, ServiceMaster Restore of Central and North Okanagan brings the training and experience necessary to help resolve any hoarding situation, large or small. If you or a loved one is experiencing a hoarding situation, we will work with you or the property owner to restore the property, and your peace of mind. Indications of hoarding include extreme collection and storage of items in the property and yard, accumulation of newspapers, rubbish, blocked doorways and windows, small pathways throughout the building, rotting food, used food containers, human and or animal waste, rodent and insect infestation, mold, spider webs, and general neglect of the property. Will I have to be home all the time during the restoration process? No, we will do our best to make sure you may go about your daily routine without having to worry about having to be at home all the time during the restoration process. For site access, you can provide a key to your ServiceMaster Restore Project Manager or opt to install a private-code lock box on the property.